First board completed all ok, had a small issue with holes being too small for the PCB jack, but was quickly resolved by a pair of wire cutters 🙂 (will look at sorting that out next run…if there is enough interest still). Again will update when ready to ship/sell. 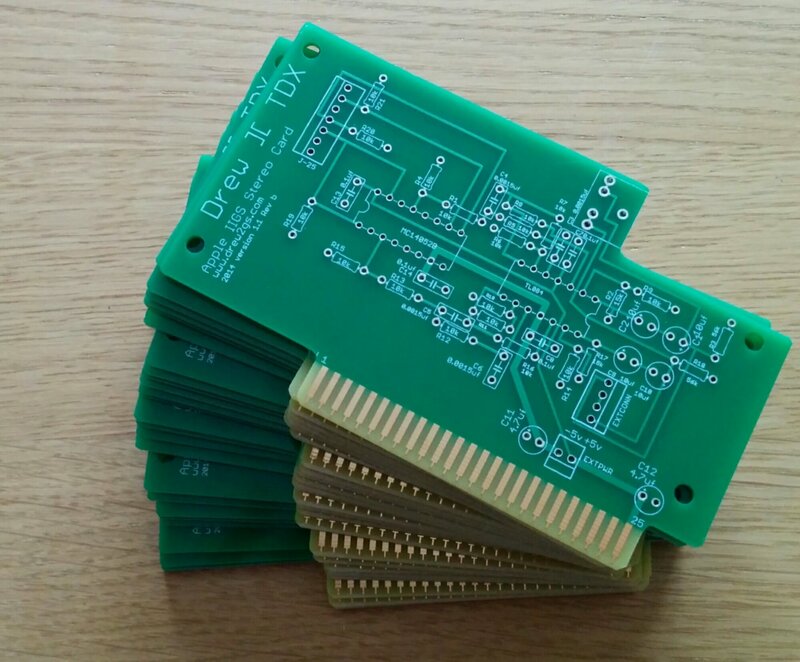 The version 1.1 boards have turned up. 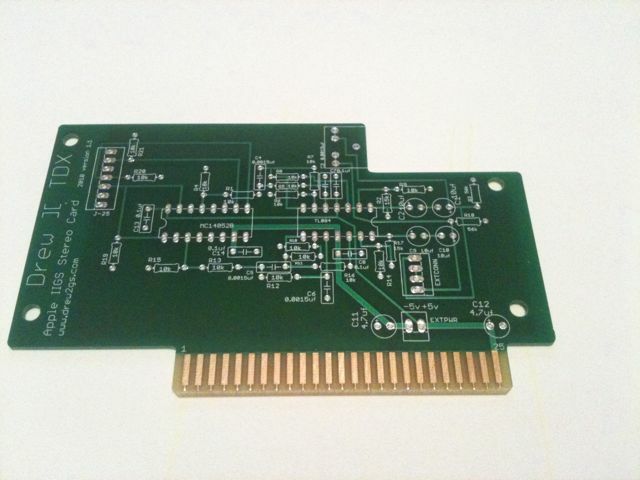 This is another 20 board run, and will post more details once I have confirmed costs and when I can get them ready. 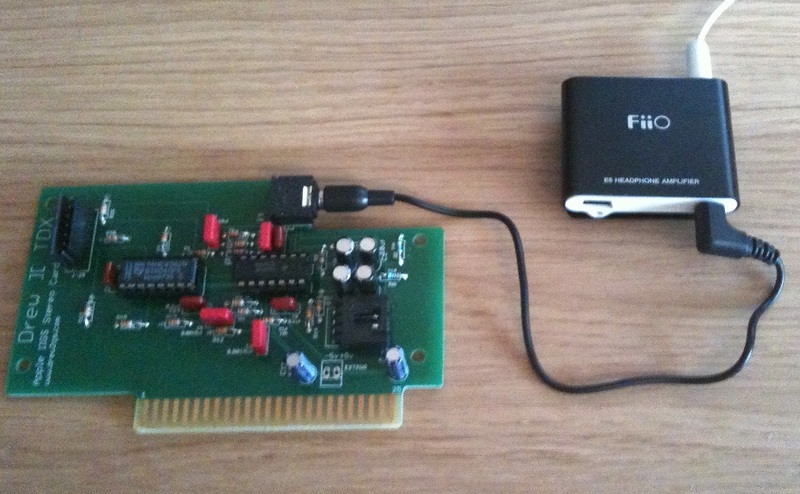 I am aiming for £26.99 (this is without back plate, but has an onboard 3.5mm jack and a connector for backplate from version 1.0 card). 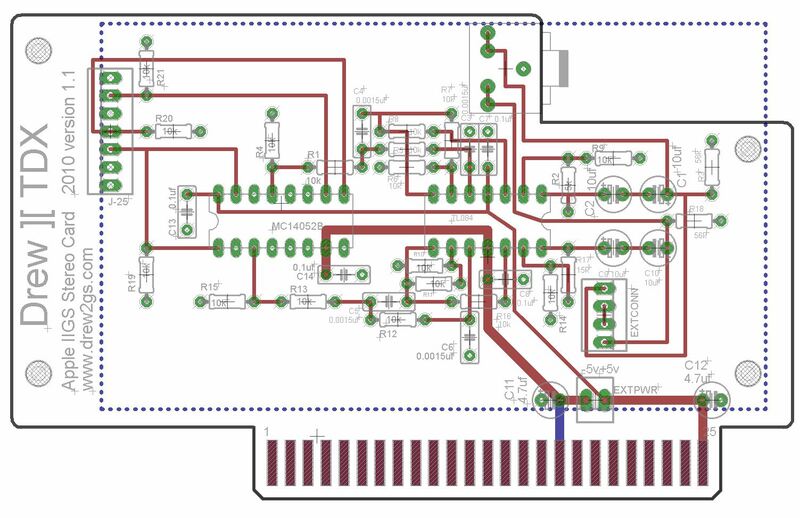 This card will just be stereo output only, and will include the better demux chip. 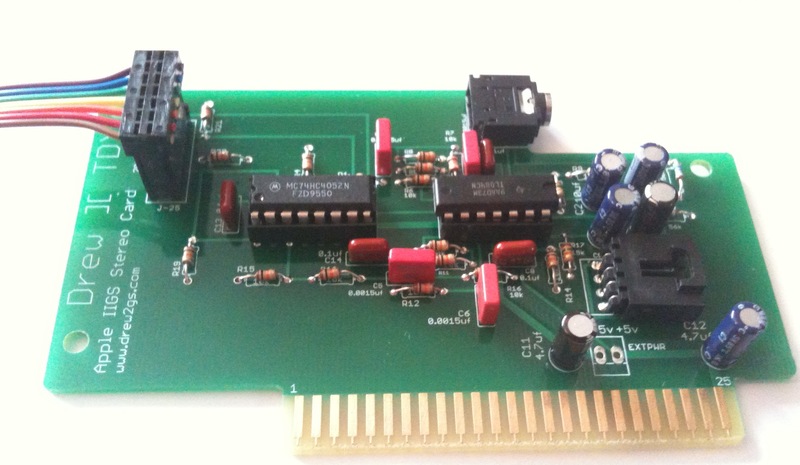 You are currently browsing the archives for the IIGS Stereo Card category.